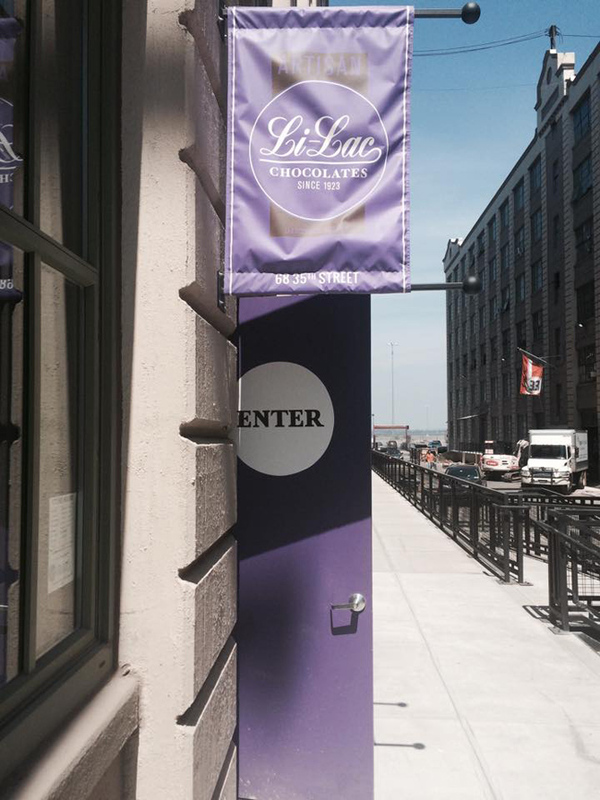 Their iconic lilac logo is shown at the entrance to their production facility at 68 35th Street in Brooklyn. The company was founded in 1923 by George Demetrious, a Greek chocolatier trained in Paris who immigrated to the U.S. and opened a small chocolate shop in Greenwich Village, which is still in operation today. 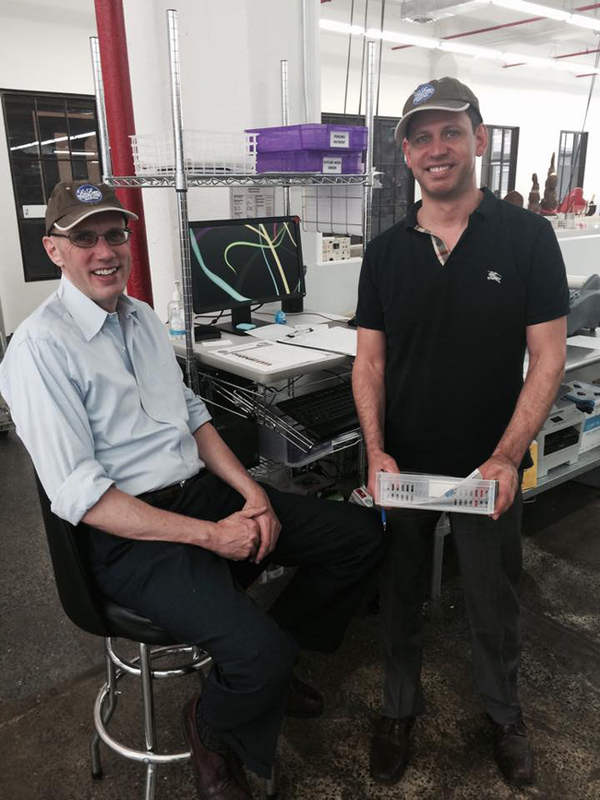 Beyond the retail space is the production and assembly area. 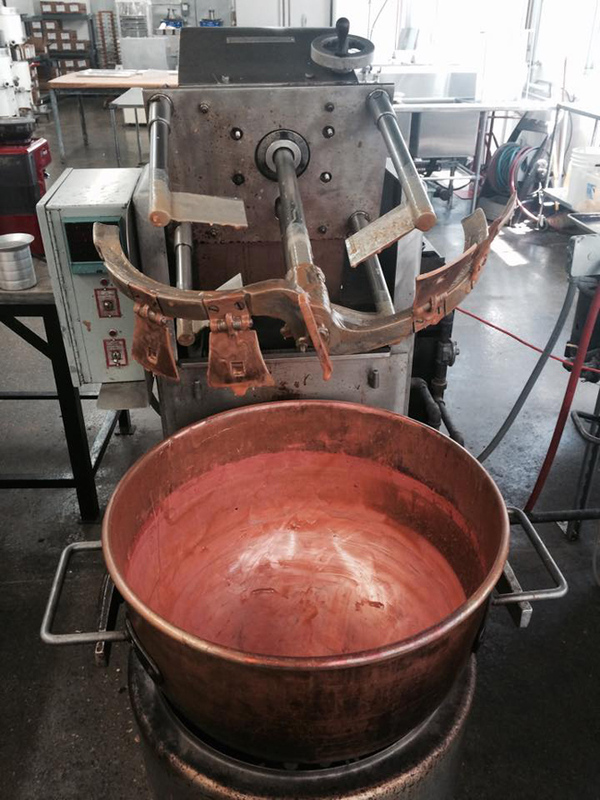 Shown in this photograph is the area where caramels and fillings are created. Beyond this area are large vats of chocolate which are skillfully tempered. 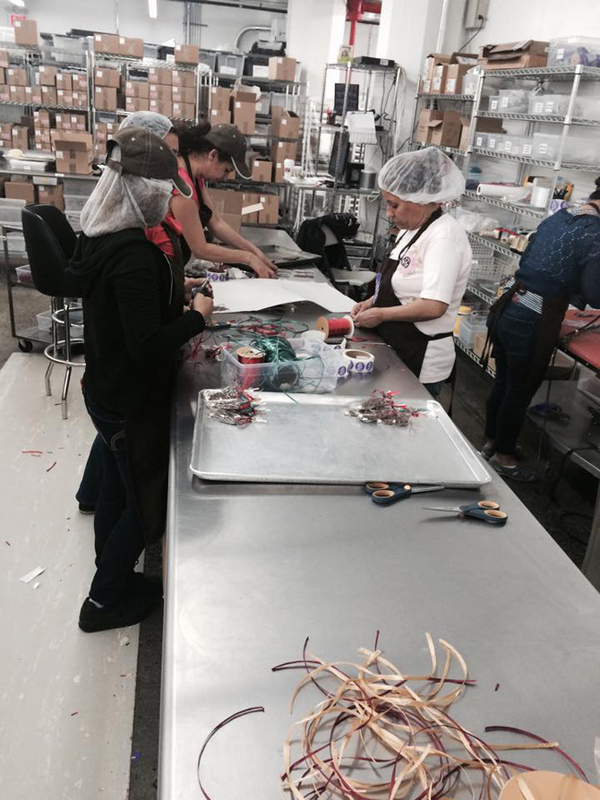 Everything at Li-Lac is done by hand, making it very labor-intensive. 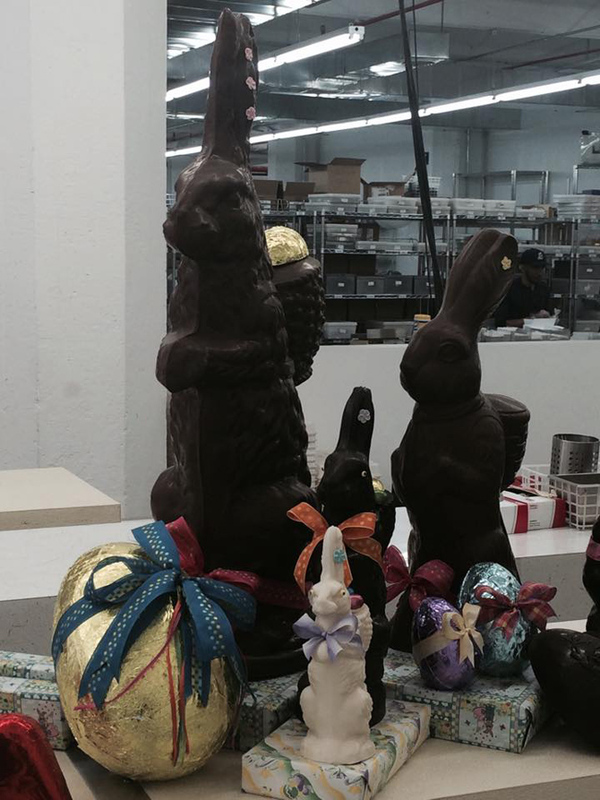 All of the chocolate and confection recipes, by the way, are original to the firm and are closely-guarded! 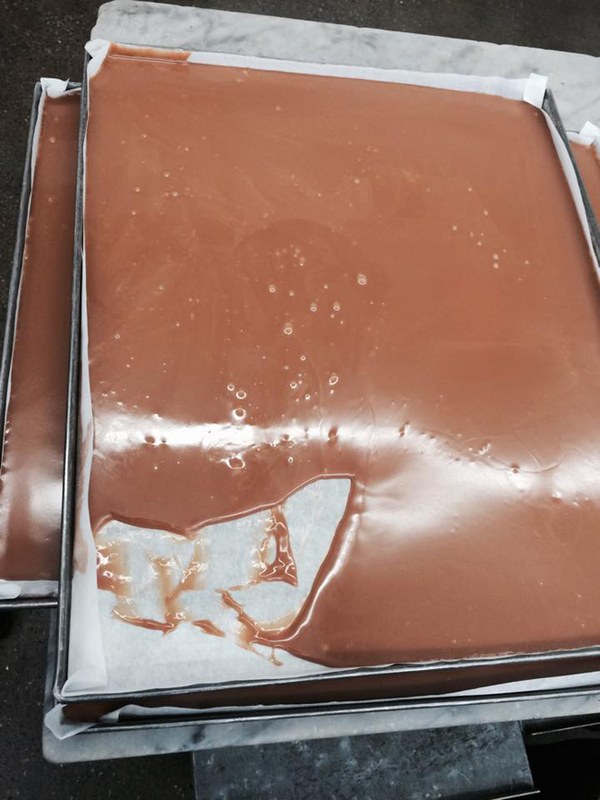 A sheet of poured caramel awaits its use as filling for various kinds of chocolates. This is a large vat where the caramel is kept warm and stirred until it can be poured out for cutting and filling. 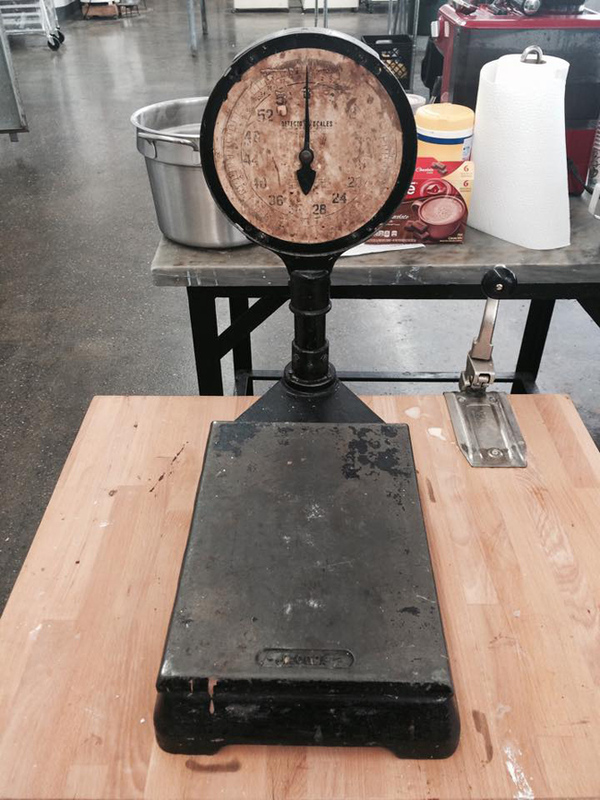 This antique scale dates from the early 1920s when the facility first opened. It is still used today, nearly 100 years later! The collection of chocolate molds housed at Li-Lac is the largest collection in the United States. These ones are used primarily for chocolates with nut centers. 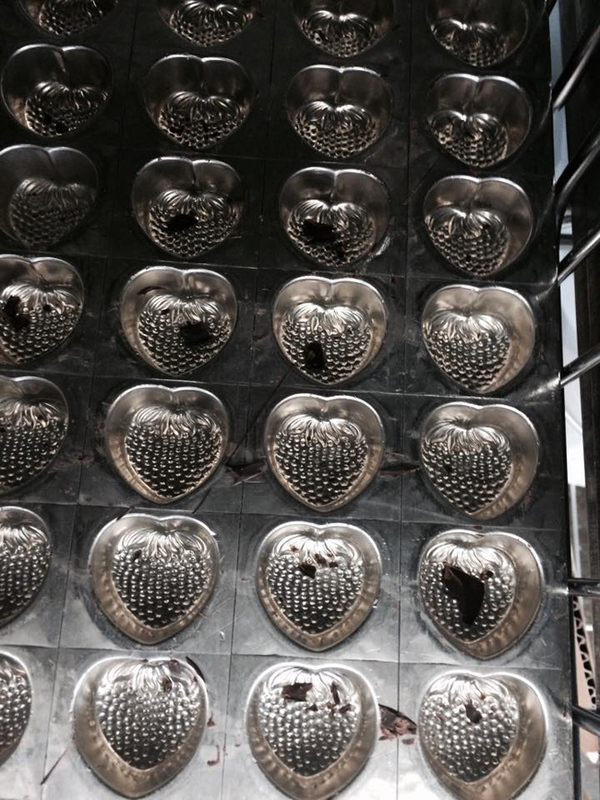 This strawberry chocolate mold was recently emptied. 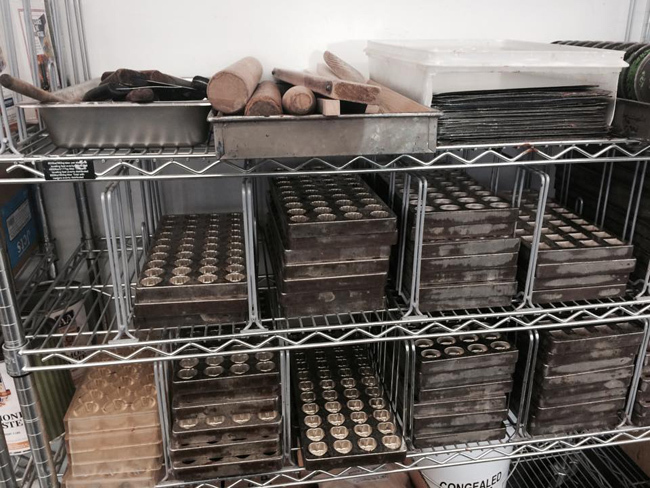 There are aisles and aisles of chocolate molds - many of them antique - stored and organized by type, shape and size in plastic bins on metal racks. 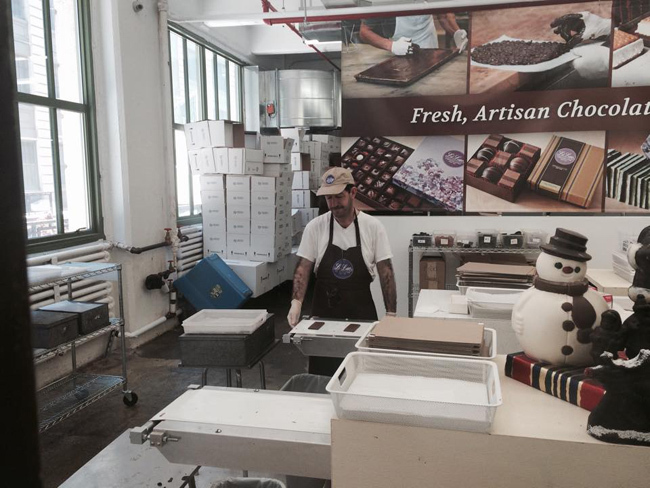 In this area, a worker prepares to make chocolate-covered ginger. 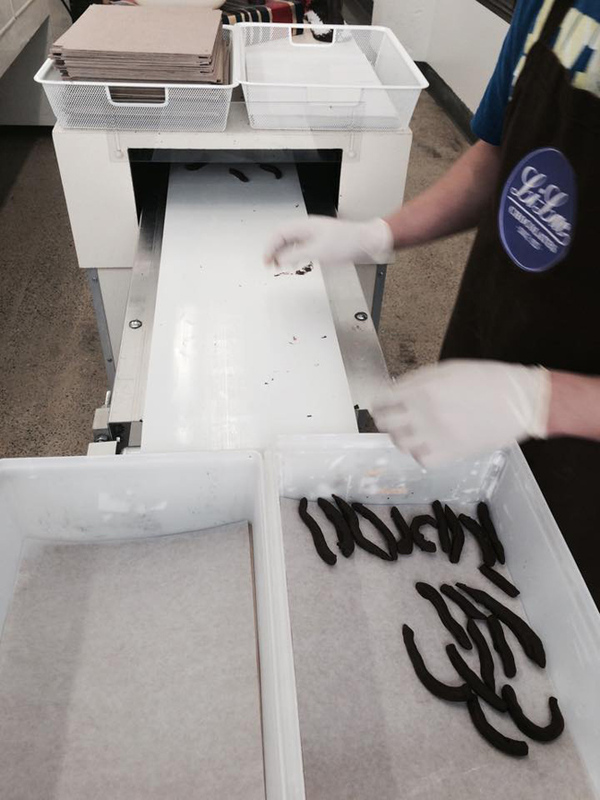 The candied ginger is put onto a conveyer belt and sent through a machine that coats them with melted dark chocolate. 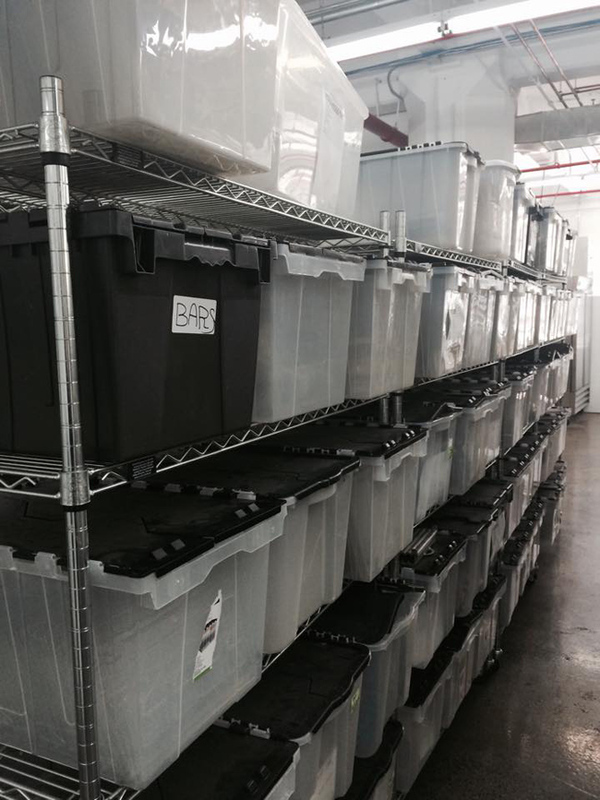 They are then manually sorted into parchment-lined bins. 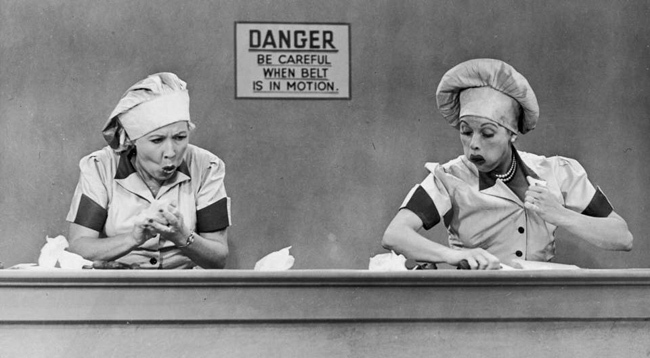 David said this process reminded him of the iconic chocolate-factory scene from the "I Love Lucy" show. These chocolates look mouth-watering! 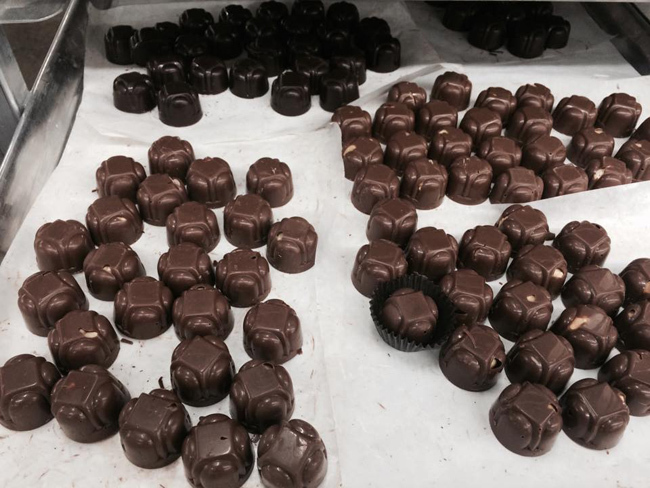 Any imperfections on the chocolates are smoothed out by hand with tempered chocolate and various tools. Li-Lac has a number of very high-profile clients that require custom-made chocolate designs for their events and public-relations, a challenge that the company happily and excitedly accepts. 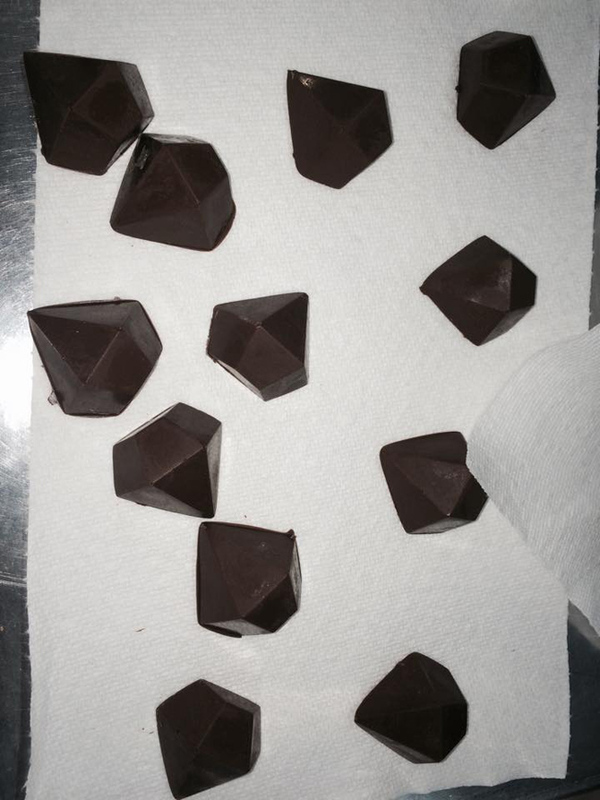 These diamond-shaped chocolates were for an event for De Beers. Chocolate lipsticks for an event for Estee Lauder Cosmetics. These examples are fresh out of the custom-made mold. Their rough edges will be smoothed by hand. 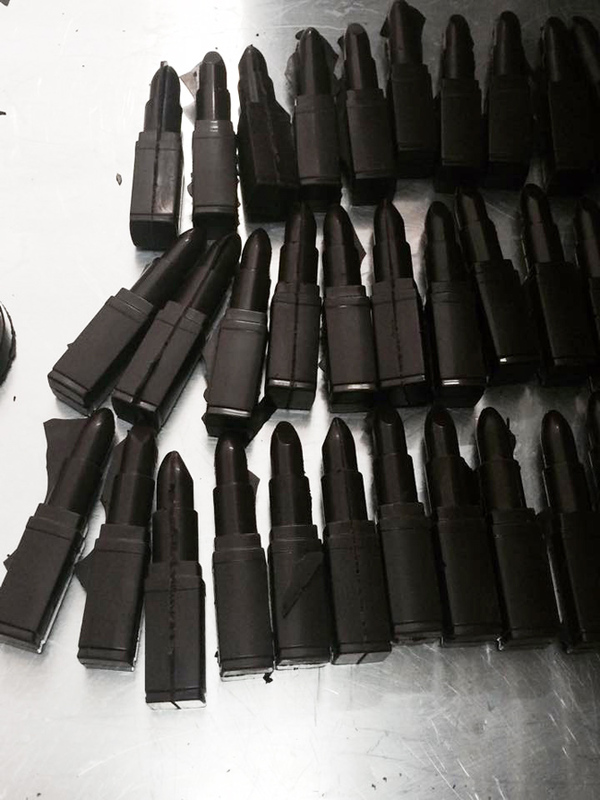 They will eventually be placed into individual lipstick boxes and given out as favors at the event. 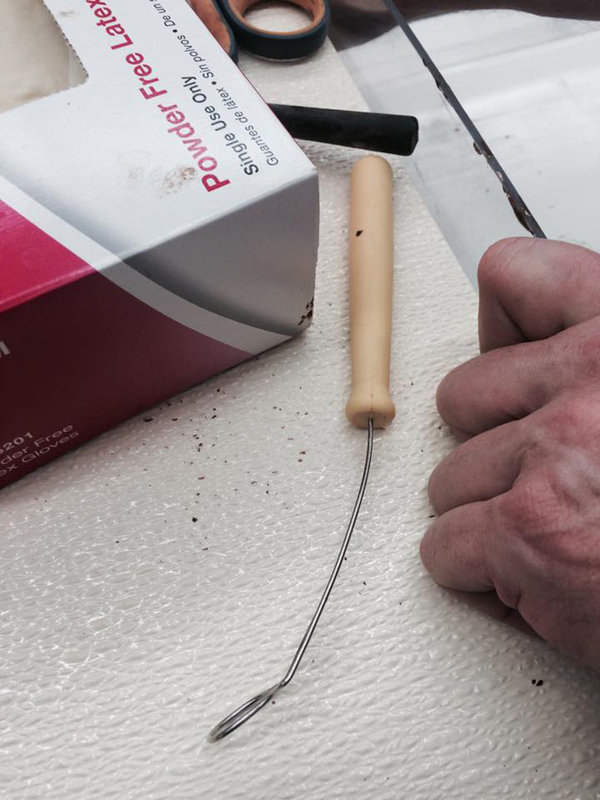 This handmade tool has a very specific purpose: to smooth out any rough edges or visible joinery on molded chocolate shapes. 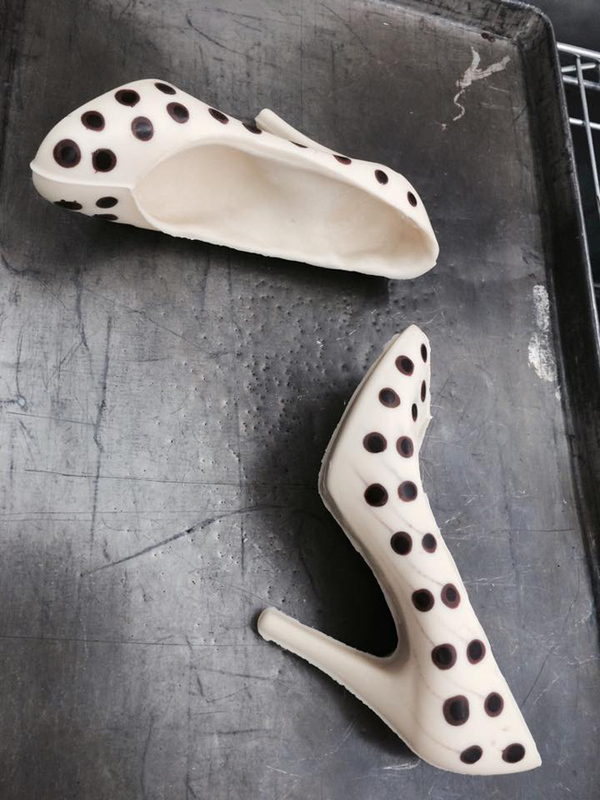 Polka-dot white chocolate pumps? Of course! Li-Lac caters to many clients with very specific desires: parties, weddings, corporate events. 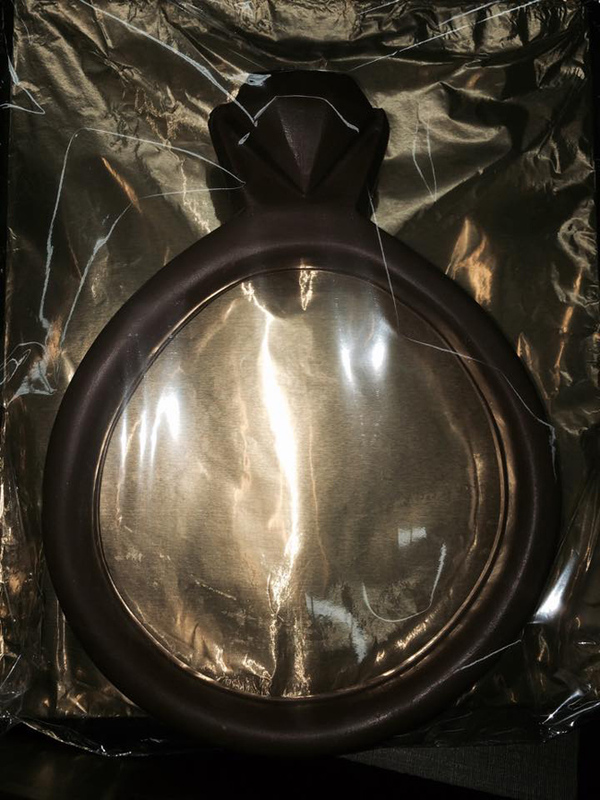 A giant chocolate ring for Tiffany's. 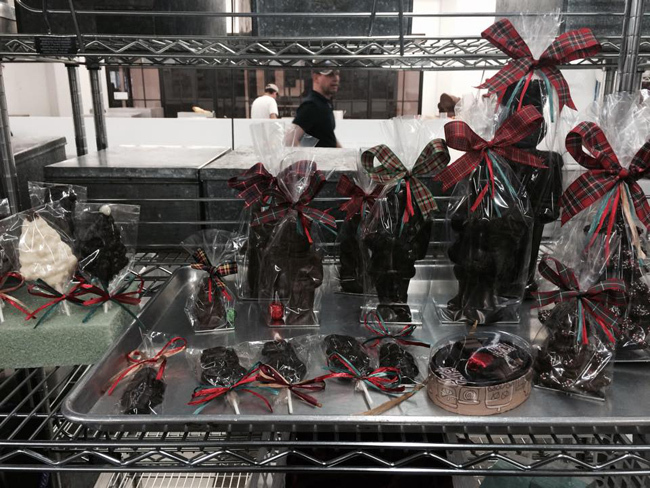 This is the packaging area where the finished chocolates are wrapped and tied with ribbon before being sent out to the clients or to the Li-Lac retail locations in Greenwich Village on 8th Avenue in Manhattan and in Grand Central Market at 43rd Street and Lexington. 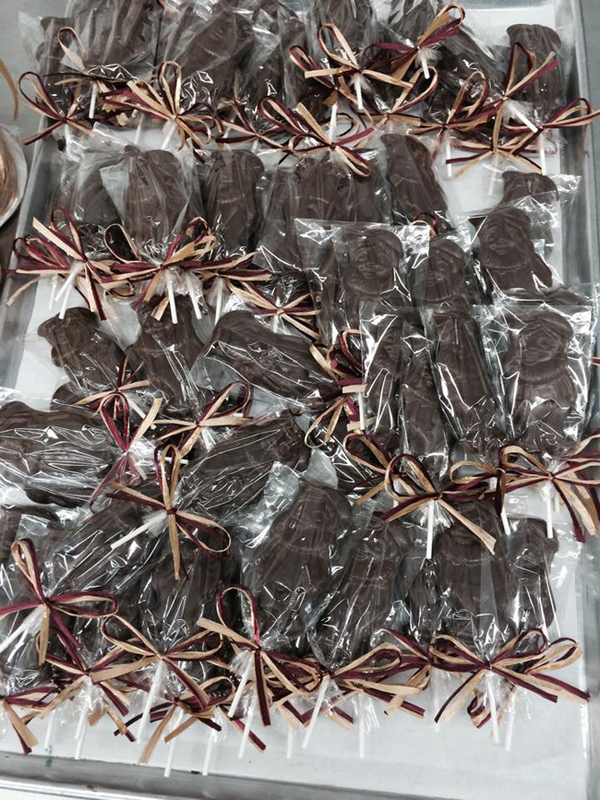 Each confection is wrapped by hand and tied with pretty ribbon. 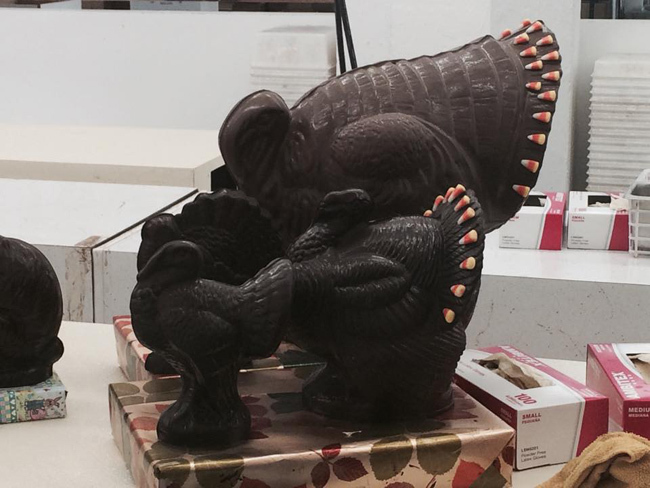 More examples of their creations in the staging area: chocolate turkeys! A variety of chocolates all awaiting final inspection. 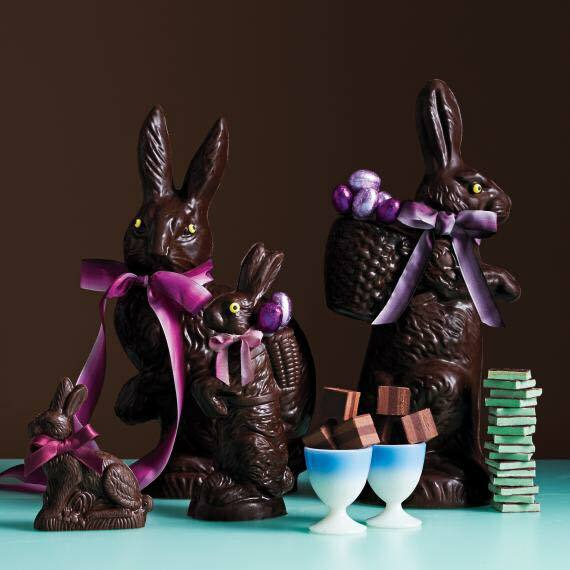 These chocolate Easter bunnies and eggs are a favourite of Martha's. Each year she orders large batches of them for her annual Easter party. These were all made in chocolate molds that date back to the early 1900s. Here they are pictured in the April, 2015, issue of Martha Stewart Living magazine. They range in height from three inches to 17 inches! Also shown are their hazelnut truffle squares and French mint bars. 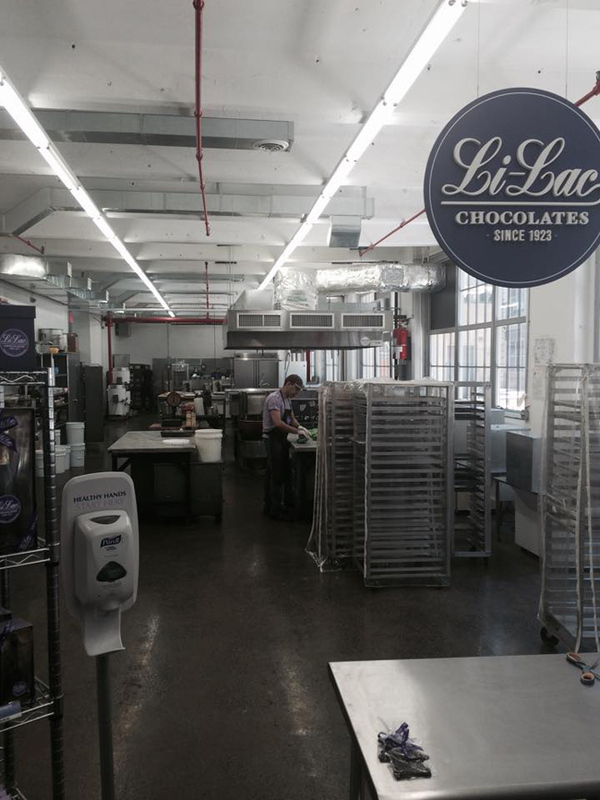 If you are in Manhattan and would like to visit Li-Lac Chocolates click here for hours of operation and locations.